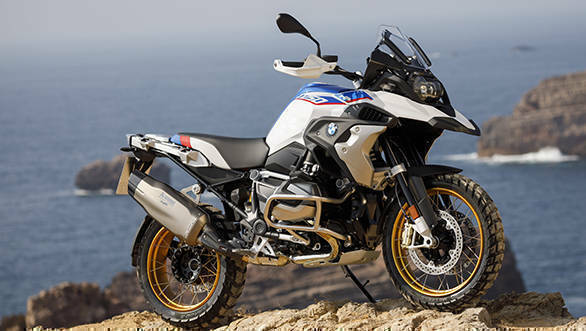 Earlier this month, we told you about BMW Motorrad dealerships accepting bookings for the new BMW R 1250 GS and R 1250 GSA ADV motorcycles. While BMW Motorrad India has officially not confirmed the launch date, we have learnt that BMW Motorrad will be launching the ADV motorcycles in India tomorrow, i.e. January 18, 2019. The tentative on-road price for the BMW R 1250 GS will be around Rs 20 lakh whereas that of the top-spec R 1250 GS HP4 is expected to be Rs 30 lakh. Both the motorcycles will be brought to the country through the CBU route. Interested customers can book theirs for a token amount of up to Rs 5 lakh. BMW Motorrad has also added more updates to the powertrain, with oil jet cooling for the piston undersides, new injectors, as well as a new unit construction gearbox design with an updated slipper clutch. The ADV offering also receives a new 6.5-inch full-colour TFT display and a new engine management system called BMS-O. Apart from this new engine, there are also a host of new rider aids. These include Hill Start and ASC stability control as standard. BMW Motorrad has also introduced a more comprehensive optional Riding Modes Pro system for added dynamic riding modes. 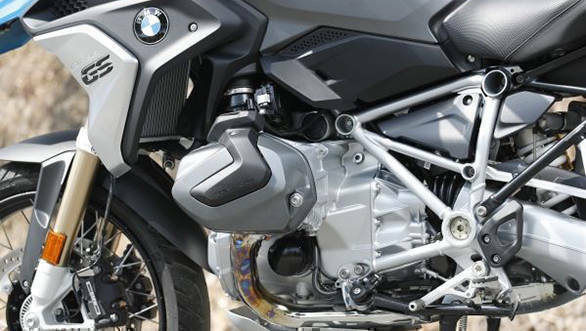 The 2019 BMW R 1250 GS features more advanced semi-active electronic suspension with automatic load compensation. There will also be an optional Sports suspension package for the GS, with higher spring rates and longer struts for increased travel. Here's our detailed image gallery of the BMW R 1250 GS and R 1250 GSA ADV that will be launched in India soon.